19th-century gold- and blind-tooled black morocco. Ludwig Behr and Maria Cleophie Clonzin (their arms and the dates 1613 and 1615 on fol. 1); Ferdinand Albrecht, Duke of Braunschweig et Luneburg (fol. 1v: "F.A.D.B. et L. Beverae ad Visurgum 1667"; the Duke moved to Bevern in 1667) ; London, Sotheby's, Jan. 29, 1951, lot 16; purchased there by Maggs Brothers, Ltd., London for William S. Glazier (1907-1962), New York; deposited in the Pierpont Morgan Library by the Trustees of the William S. Glazier Collection in 1963. 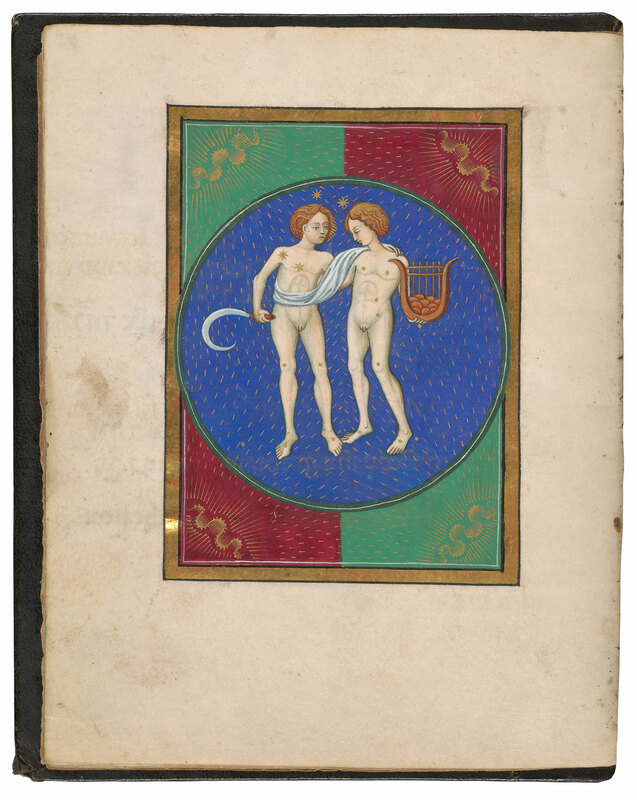 Ms. book of hours for the use of Rome; written and illuminated in Italy, probably Milan, 1470-1480. Decoration: 6 full-page miniatures, 12 full-page calendar illustrations, 3 small miniatures, 22 historiated initials with marginal extenders; 2 full-page miniatures and 5 text leaves added in the early 17th century. Artist: attributed to Venturino Mercati.